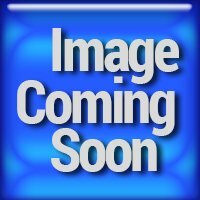 BatteryMart.com no longer carries this item. This Ritron Patriot RTX150 and RTX450 replacement two way radio battery is 100% compatible with the Ritron Patriot RTX150. Our batteries and accessories are made with high quality parts and are guaranteed to meet or exceed the original equipment manufacturers specifications at a reduced price. All batteries are tested for 100% quality control assurance. This Ritron Patriot RTX150 replacement two way radio battery includes a 1 year warranty to guarantee that it has no manufacturing defects. Battery Mart's purchasing department constantly works with suppliers to offer our customers the web's best prices. But we cannot guarantee our negotiated rock bottom prices on Ritron Patriot RTX150 Replacement Battery (No Longer Available) will remain this low after April 23, 2019. Buy today for $21.95 and save ($21.95) (-inf%).